Le Breuil will be trained next season with the sole purpose of being at his best for the Randox Health Grand National. The seven-year-old provided Ben Pauling with a second Cheltenham Festival winner, in a thrilling finish from Discorama in the National Hunt Chase, a race which was not short on controversy. He is highly unlikely to run again this season, however, with Pauling feeling this campaign’s mission has been accomplished. “I think he’s done enough. He’s perfectly well. The Whitbread (Bet 365 Gold Cup) would be the only thing we’d look at, and we’ll wait a few weeks to see exactly how he’s come out of it, but I think he’s done his job for this season,” said Pauling. “He’ll be looked after for next season, with the Grand National in mind. He could go back hurdling – something like the West Yorkshire Hurdle at Wetherby might be a starting point. “He’s such a good jumper of a fence, I don’t think I need to run too many times. We could look at a National trial, but he’s a horse you’d want to get there fresh and well. 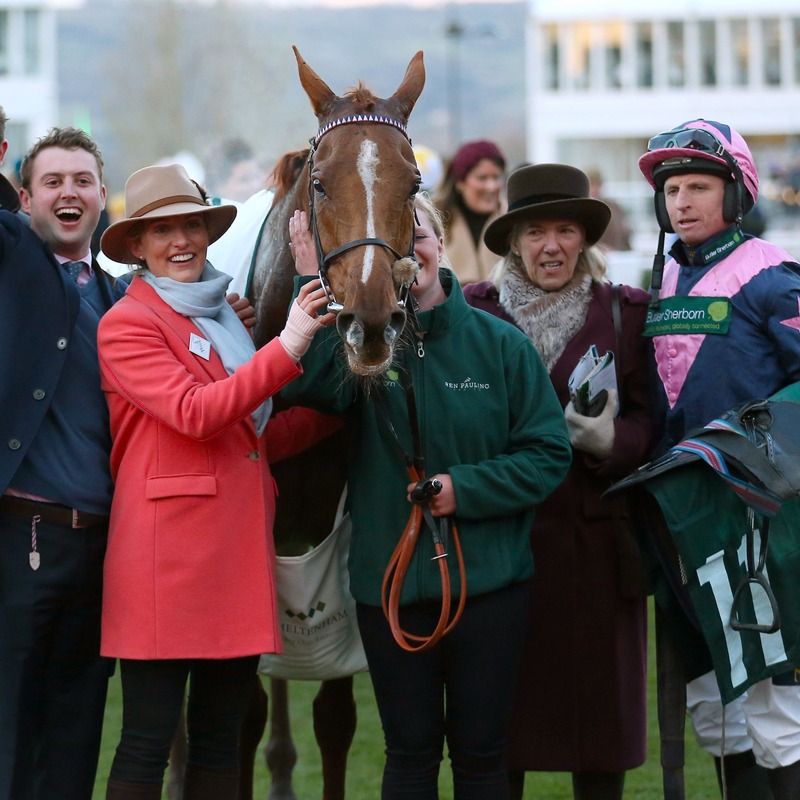 While Le Breuil, ridden by top Irish amateur Jamie Codd, and Discorama engaged in a terrific tussle, those in behind struggled in the conditions – with several lengthy riding bans handed out by the stewards. Pauling feels it is crucial there is no over-reaction, with some calling for changes to the race. He said: “I’m very much with my fellow trainers in the belief that it wasn’t handled very well – and some of the bans, particularly Jerrysback’s jockey (Declan Lavery), were uncalled for, and I hope they are overturned. “Going forward we, as horsemen, are going to have to come together and see what we can sort out – because at the moment it isn’t working. “You are dealing with a race which this year was on very soft ground over four miles, which is an extended trip. A lot were travelling well coming down the hill and then got tired very quickly, because it is that little bit further. “That doesn’t mean it will be the same every year, and it hasn’t been a problem up until now. I just think it was unfortunate, and if you are not careful you can overreact and do yourselves more harm by worrying about it.